The body of a hiker has been recovered near Parker Ridge in Banff National Park. 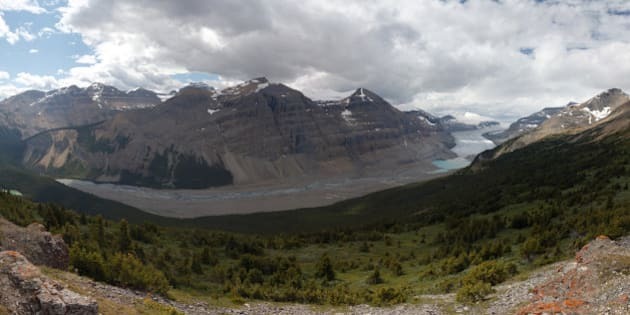 A 54-year-old Massachusetts man was headed towards the summit of Parker Ridge -- near the Columbia Icefield in Banff National Park -- and was left alone after his companion became tired and turned around, said Parks Canada in a statement. The man continued towards the summit with the intention of finishing the hike, but assistance was called for when he didn't return to their vehicle. The incident was reported by the hiking partner around 5 p.m. on Sunday. Ground, canine and helicopter crews immediately initiated a search. They were unable to locate the man until nightfall and resumed the search on Monday when the man's body was recovered just after 10 a.m.
RCMP Sgt. Jeff Campbell says it appears the man lost his footing and went over a cliff. Foul play has been ruled out, said the RCMP.